There are 2 meals which we have every week, the rest vary as much as possible. During the week we have a home-made pizza night and Friday is burger night. The patties are so easy to make and I always freeze at least half. I don’t use egg in my burger patties as Fjord is allergic to egg and they still don’t fall apart. 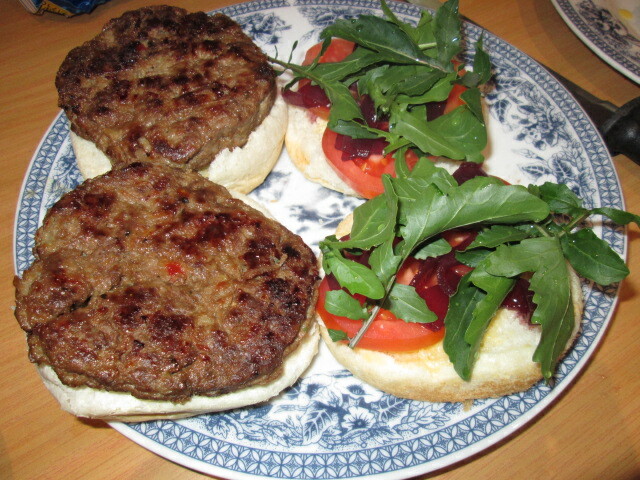 For ostrich mince, or beef mince I adapt my chicken mince burger patty recipe which is lovely. Shaping the patties has always been a bit of a pain. A few months ago my daughter Domi loaned me her burger press and I immediately wanted one of my own. For my birthday last month my two friends Colette and Evelyn gave me a Yuppie Chef voucher, I used it to buy a pizza stone and a Kitchen Craft Burger making kit which comes with wax paper discs. 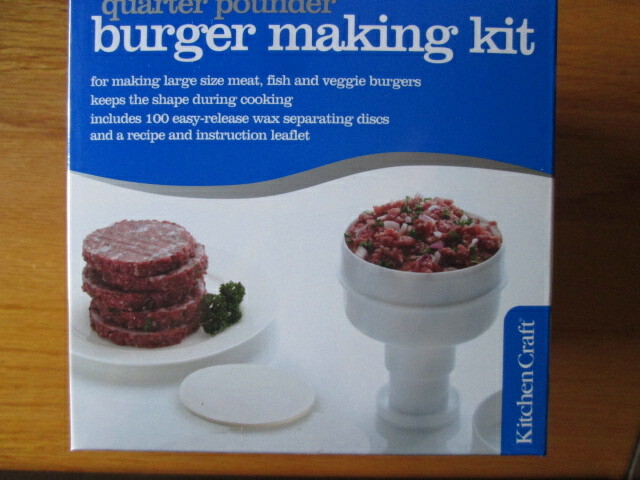 I was a bit of a nana when I ordered the burger making kit and ordered the 9cm one by mistake, the 11cm (quarter pounder) is a much better size. Once again Yuppie Chef blew me away with their stellar customer service. They arranged for the 9cm one to be collected, I was refunded with a voucher which I used to replace it with the 11cm. Thank you again to the totally awesome Yuppie Chef team. Tonight is burger night. I have patties in the freezer from the ones which I made last week. When I get home around 6pm from doing today’s anti-e tolls bridge banner protest, preparing supper will be a breeze. Wow I never knew they made those. Great idea to freeze in advance too. We need one of these. I remember my mom had the Tupperware one and it makes making burgers SO much easier! Wow I have to get one – Mark loves making homemade burgers, but sometimes the patties he buys are really not nice. Will have to borrow your recipe too 🙂 We have had your “fried potatoes in flour” one night a week for the past 3 weeks and they are divine.